Model 109 was designed in 1946. The chair is manufactured in walnut. 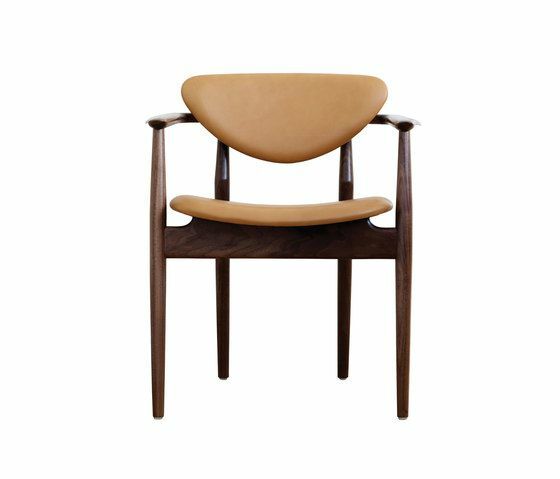 It is a typical Finn Juhl chair carried out in a light, elegant and appealing design. It is a beautiful chair, which is a pleasure to touch and very comfortable to sit in. The chair matches the model 108 which has no arm rests.